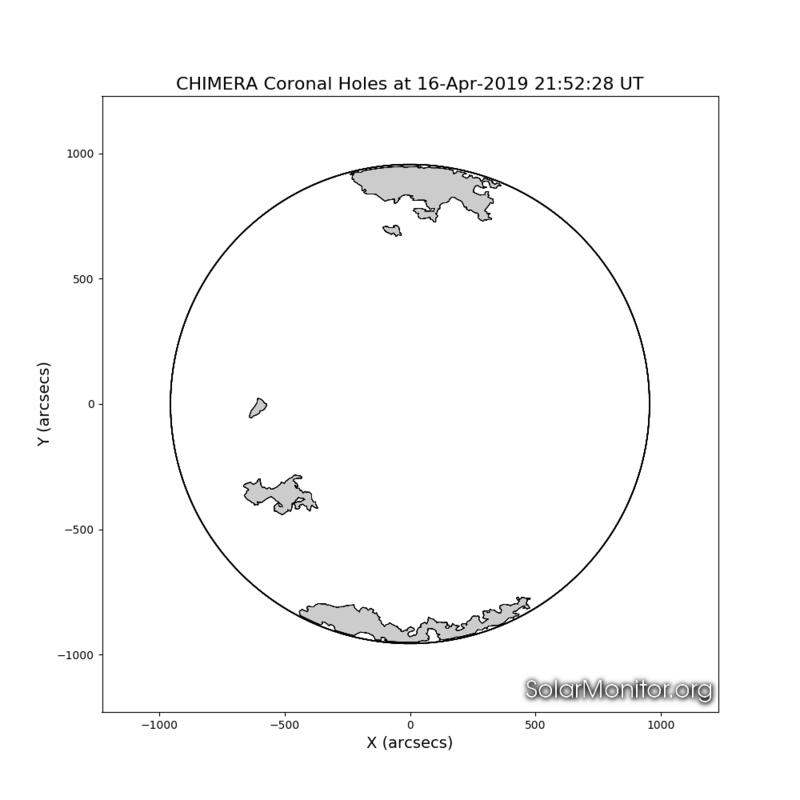 Note: Solar Monitor's coronal hole segmentations are performed by CHIMERA, a copy of which is available at: github.com/solarmonitor/solarmonitoridl/idl. 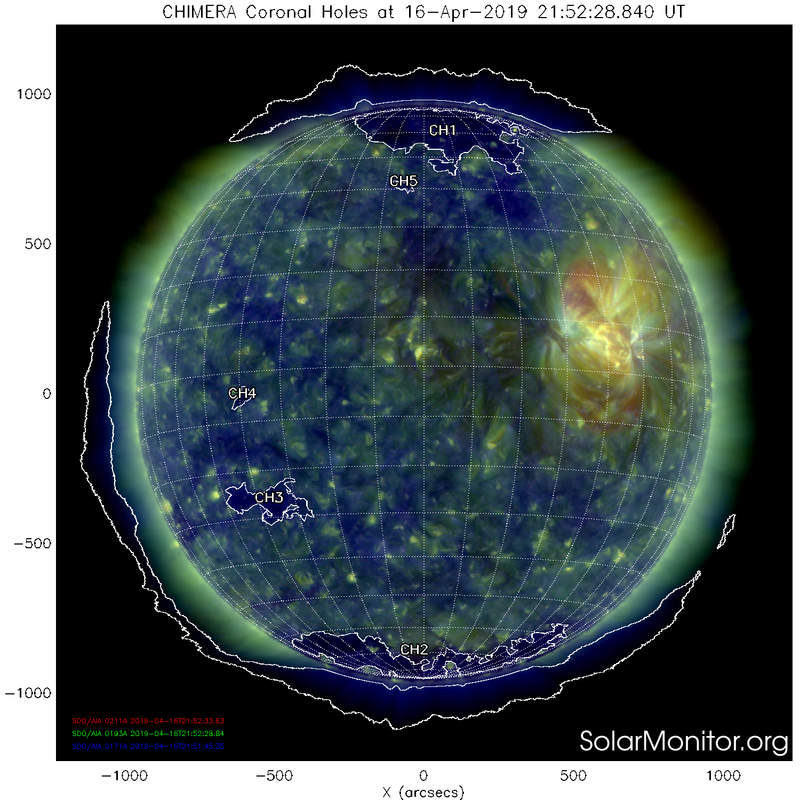 An extensive copy of coronal hole properties are available at: solarmonitor.org/data. The latest positions of the coronal holes are given in heliocentric co-ordinates. The region positions are valid on 16-Apr-2019 22:00 UT .